vegan.in.brighton: Planning a Vegan Trip to Japan. This page has been updated with new product pictures and info for 2018! There are plenty of trips I've felt I can just wing, before travelling to NYC for the first time I worked out which restaurants were must visits but I didn't really think much further ahead than that. Wifi was easy to come by which made using the Happy Cow app a breeze. The other obvious difference between traveling in the US and Japan is that there was no language barrier in the US. If I got stuck and was desperate for something to eat I could cobble something together from a corner store just by reading labels. 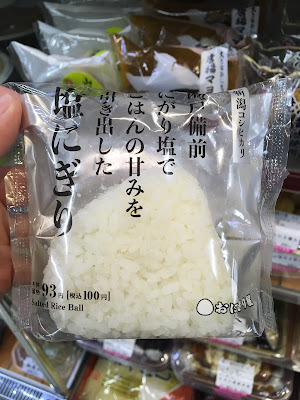 I've done the same all over Europe but Japan was more challenging as 99% of the time I couldn't even work out where the ingredients were on the label let alone decipher them. 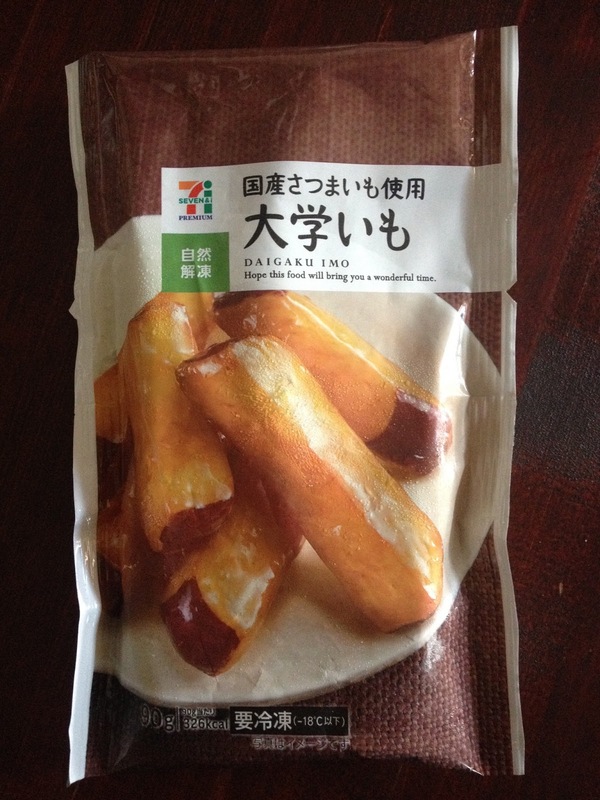 Also things that I would assume are accidentally vegan here, a good baguette for example, most probably contained milk in Japan. Never one to back away from a foodie challenge I did a lot of pre-planning. Some online resources that helped me work out where I wanted to eat were Happy Cow (of course!) 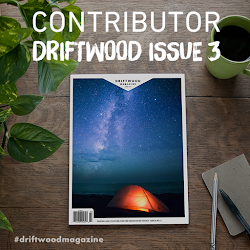 and the blog posts by previous vegan travellers especially those by Too Happy Vegans and The Urban Housewife as well as vegetarian blog Never Ending Voyage. Here are all of their posts. Between my first and second trips to Japan Susan from Kittens Gone Lentil blogged about her trip and Giselle and Cody from Mindful Wanderlust have visited and blogged about their 5 favourite places to eat in both Tokyo and Kyoto. 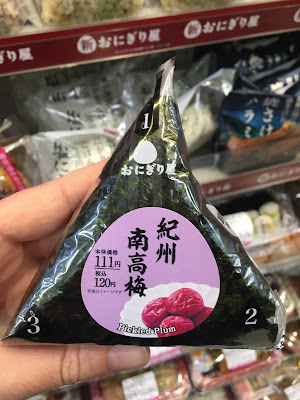 You can also check out Keren from Just One More Spoon's guest post on her 5 Favourite Vegan Eats in Tokyo on Rika's blog Vegan Miam. 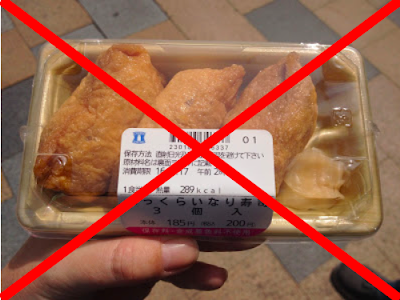 One more thing to be wary of with any posts about Japan is that things change frequently, I cross checked my list of restaurants to visit with Happy Cow a few days before we left and found four or five places had closed within the couple of months since I'd started making it. Sadly this included both Cafe Proverbs and Mikouan in Kyoto, two places I'd read a lot about and was really excited about visiting. As always I would suggest annotating your guide book or a map with the vegan restaurants you'd like to visit, in a city as large as Tokyo it really helps to know which eateries are near to the attractions you're visiting as you won't want to wait until you're hungry to realise that the cafe you'd planned to visit is an hour away. It also helps to have a note of the opening hours and any special information such as "the restaurant is up the stairs round the back of the clothing store" as it will make places so much easier to find! Lastly when I was reading blog posts before we left I would e-mail them to myself and screen-shot any product pictures on my phone. I made a photo album called Japanese Food and added to it throughout the trip. It was so handy to be able to reference this whenever we were shopping! Before we left the UK we did some research into how easy it would be to connect to wifi in public spaces and cafes and the answer was not easy. We eventually decided to get a wifi mifi router from JCR Corp. It's basically a mobile internet device so you just switch it on and have wifi in your pocket whenever you need it. This was awesome when we were lost and needed Google Maps to help us, when restaurants were closed and we wanted to fire up the Happy Cow app and find somewhere else to eat and, of course, for keeping up with social media on the go. It gets delivered to and picked up from wherever you're staying and we chose the 4G option which worked out at £6 a day. The 3G option is slightly cheaper and I think there are cheaper companies out there offering a comparable service. Two more things we did before leaving the UK were book tickets for the Ghibli Museum, three months in advance is the ideal time for this, and buy our Japan Rail Pass. 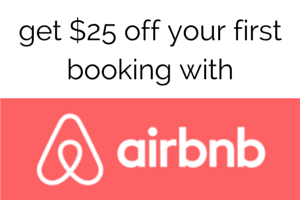 You cannot book a JR pass once you've arrived in the country so you'll need to plan out your trip a little in advance. You can buy JR Passes for 7, 14 or 21 days and whether you need one really depends on how often you'll be travelling via train. We were in the country for three weeks and we activated our pass on the sixth day when we were ready to leave Tokyo. We were travelling to Nikko, Nagoya, Kyoto, Osaka, Hiroshima and Ōkunoshima so the pass was well worth it. We even took a spontaneous trip to Tsumago just because we could, we loved the freedom the pass gave us. 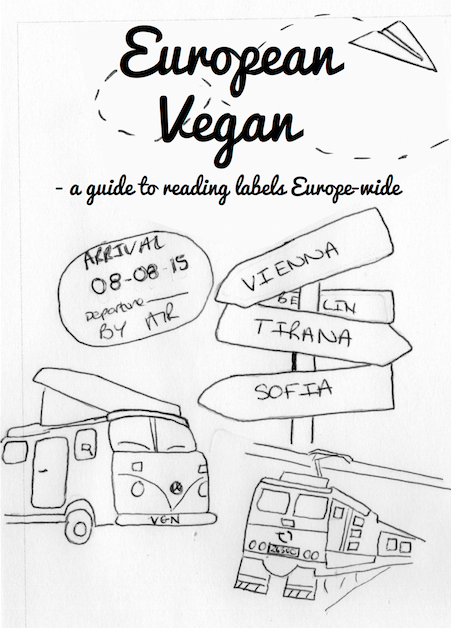 Quite a few things helped us whilst we were over there and one resource that came in super handy was the printable vegan card from this site. Nick actually discovered them and I got a couple laminated to take with us. They were actually incredibly useful unlike The Vegan Passport which I have to say I find pretty useless and, because the translation is the same for every country, often culturally irrelevant. It's basically a good last resort but not something I'd like to rely on. We had success with our vegan card when shopping in natural food stores, we'd guess at things we thought were probably vegan (often using Jhenn's vegan vocabulary list) and then when we got to the counter we'd ask whether we were able to eat everything we'd chosen using a combination of gestures, being super polite (an arigato gozaimasu goes a long way) and the card. We also tried an app called Word Dictionary which unfortunately wasn't helpful. At all. It translates the Japanese very literally so would come up with things such as "bright fat child", "ulcers" or "muffled rooster" which whilst amusing are unhelpful. We actually learnt that the former is the very literal translation for a type of red fish egg but unless you understand all of these meanings in advance the app won't get you very far. The Google Translate app on the other hand was very useful. Whenever we had 3G or wifi we were able to take a picture of ingredient labels and get a decent translation 95% of the time. You can now download word packs so if you decide not to get portable wifi or a tourist sim then you should still be able to take advantage of Google Translate office. Another thing I did before my trip was get in touch with some people who are vegans living in Japan. This is always one of my top travel tips, seek out vegans living wherever you're travelling to. They'll have the most up to date info and, in this case, far superior label reading skills. How you connect with them is up to you, you could follow them on Instagram or Twitter, read their blogs or go as far as dropping them an e-mail. A quick google search of "vegan" and wherever you're visiting will help you find people as will hashtags like #veganjapan #veganbrighton etc on Instagram. Before travelling to Japan I'd heard that there is a convenience store on every corner, especially in Tokyo, and I have to say that this isn't exaggerated at all! Sometimes there were three or four right in one spot. 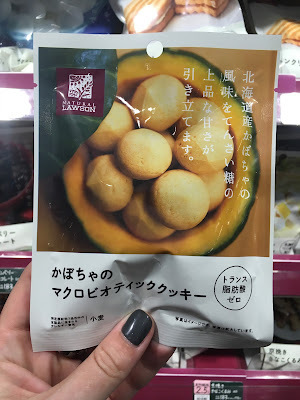 Convenience store snacks were one of the things I spent a lot of time researching as eating out for every meal isn't always practical or financially viable. Inari tofu was top of the list of convenience store foods we wanted to try and we had originally been led to believe that they would all be vegan but that's not so. 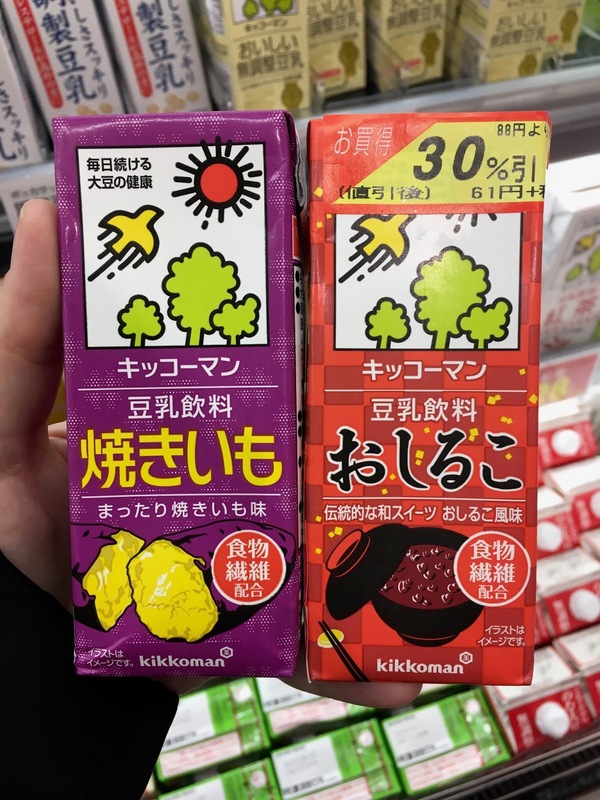 Thanks to the wonders of modern technology it was easy to snap pictures of the ingredient labels of various store brands of inari and then send them to Shawn and Chiaki from Vegan Japan (check out their Instagram account veganjapan!). They then told us if something was a-ok or not, without their help we wouldn't have been able to try the majority of these foods and I wouldn't be telling you about them right now! High five Shawn and Chiaki! 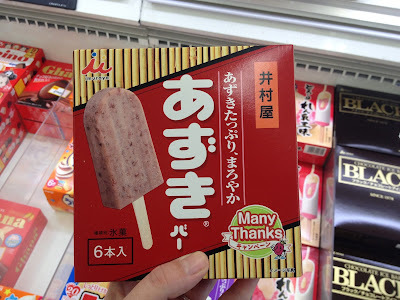 I felt like bombarding them with emails could get pretty annoying so we focussed on the three main combini, or convenience stores, 7/11, Lawson and Family Mart and my new Japanese speaking friends assured me that I was helping them with ideas for their own blog so it was all okay! 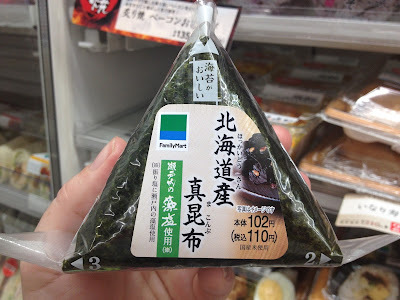 The packages of inari tofu from Family Mart, Lawson and 7/Eleven are vegan. 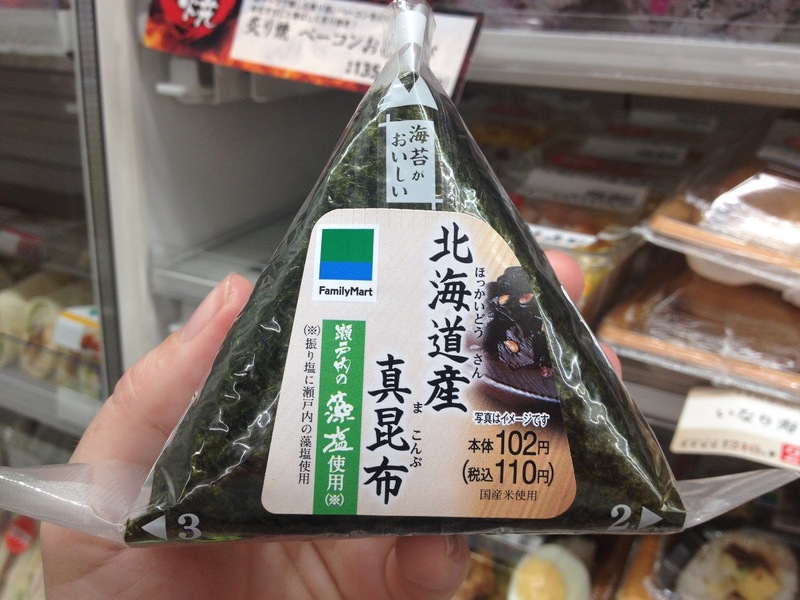 The inari pouches sold at 7/eleven are not. UPDATE: As of 2018 there is no vegan inari at any of the convenience stores in Japan. All of the inari pouches are flavoured with fish which is listed under 味付け on the label, unfortunately there are no laws against this in Japan. If something contains a very small amount of something you do not have to list it in the ingredients. Onigiri made up a lot of our favourite convenience store breakfasts and snacks on the go and one that ended up being a surprise favourite was the plain rice ball. Simply flavoured with salt and sugar these were delightful at any time of day. 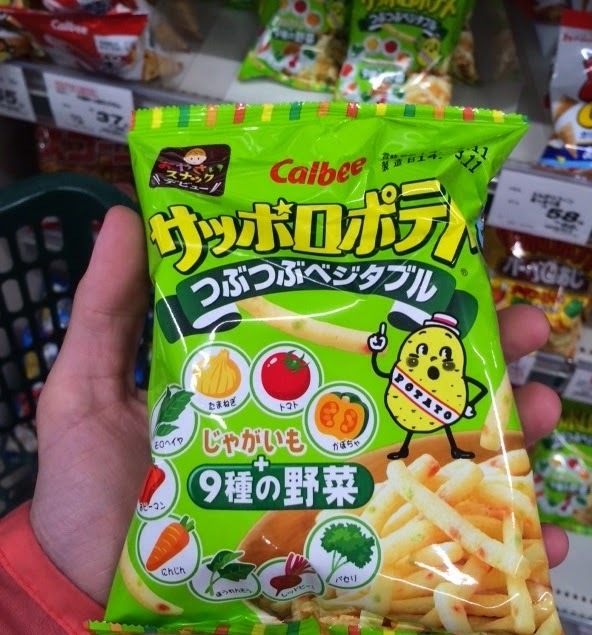 The vegan versions below were found at 7/Eleven (2016) and Lawson (2018). 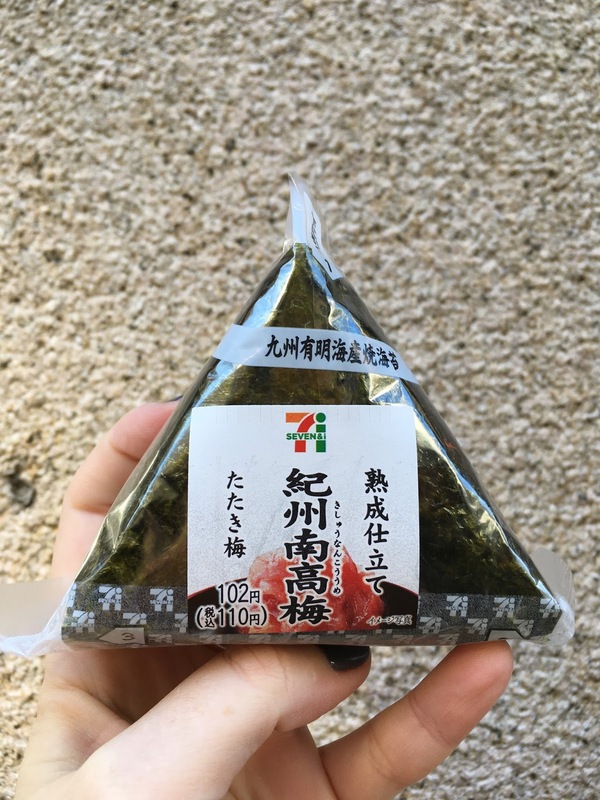 As of Spring '16 Family Mart no longer stock this type of onigiri. 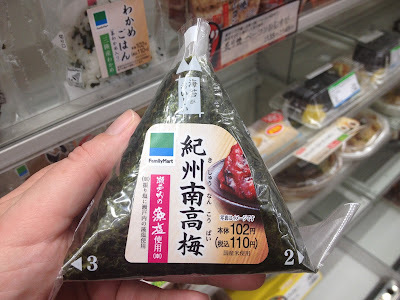 Other vegan versions we discovered were konbu with sesame seeds and ume (pickled plum), both from Family Mart. 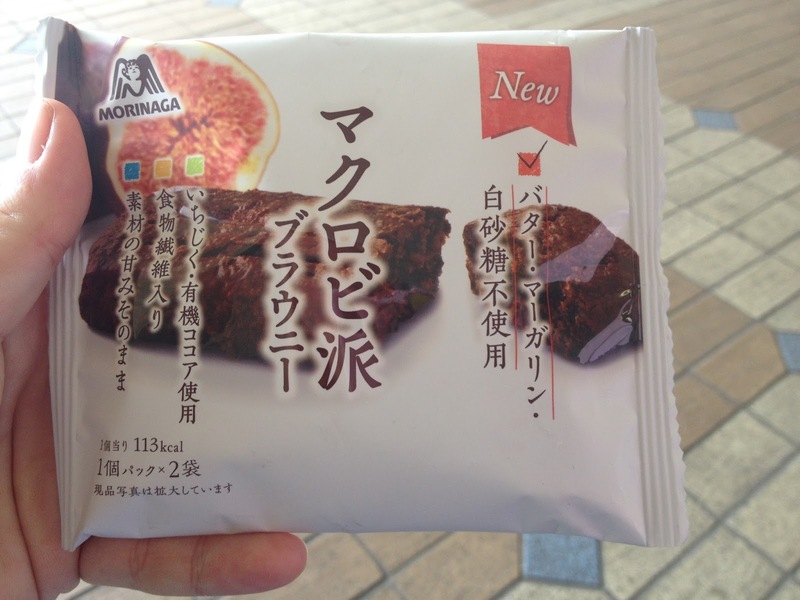 As well as this ume version from 7/Eleven and both ume and konbu from Lawson. 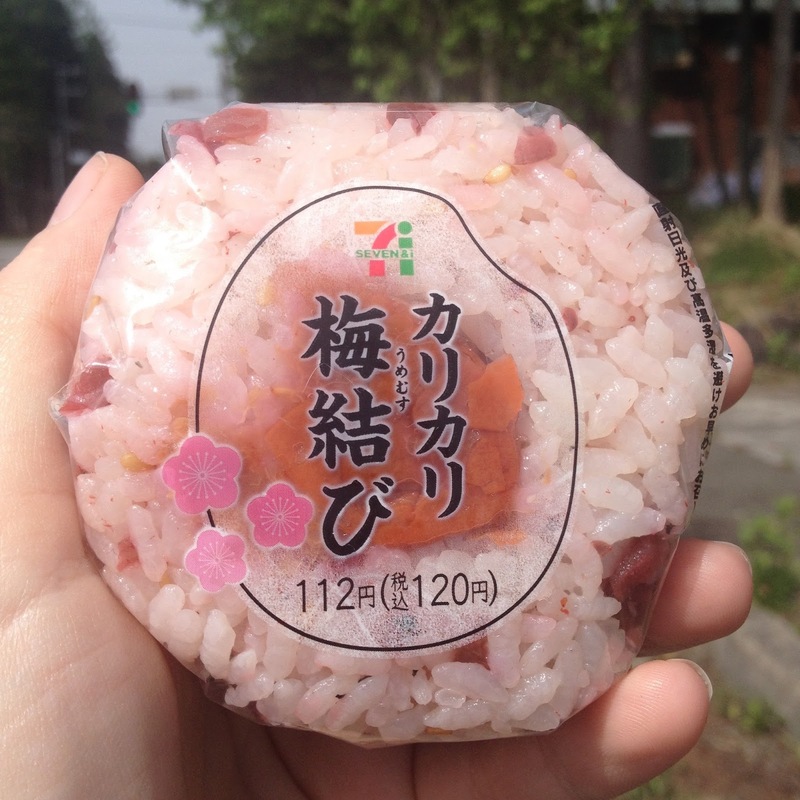 This special spring edition ume and sakura onigiri from 7/Eleven, I believe they bring these out every year towards the end of blossom season. I'm crossing my fingers that I see them back here in 2018. We made a meal out of these more times that I should probably admit, they were delicious and so, so cheap. 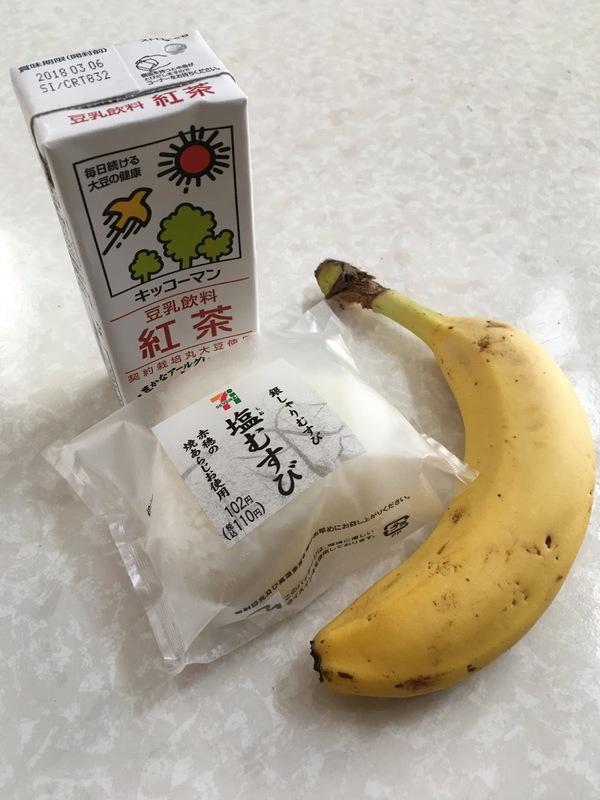 Here's a classic 7/11 breakfast of plain onigiri, a Kikkoman tea flavoured soy milk and a banana. 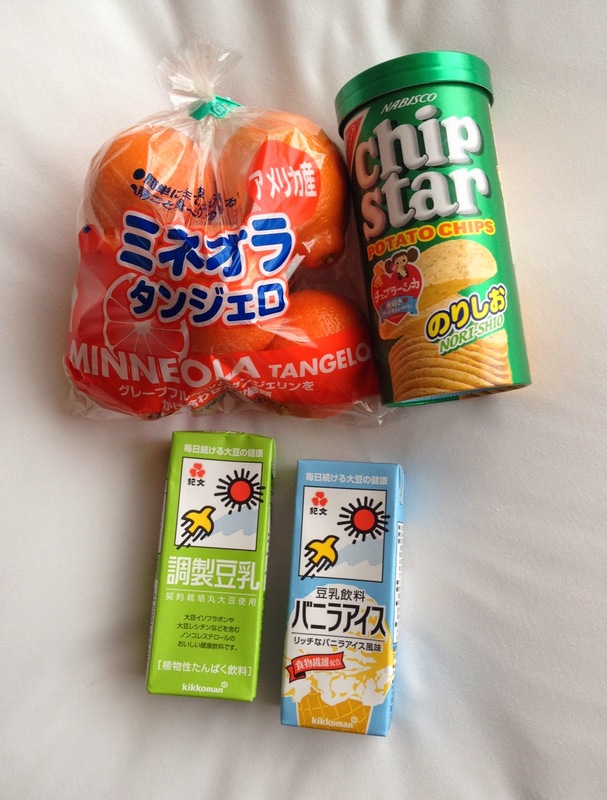 I ate the vegan nori flavoured Chip Star crisps with a whole lot of tangelos for breakfast one day, it was a delicious morning. 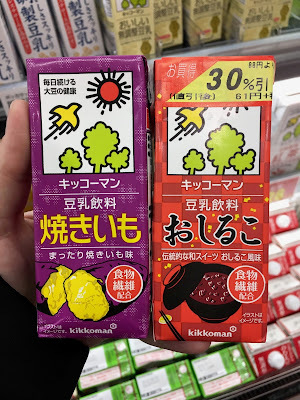 The soy milks pictured above are Kikkoman brand and they come in loads of great flavours including vanilla ice cream pictured here on the right and coffee, sweet potato, red bean and dango pictured below. 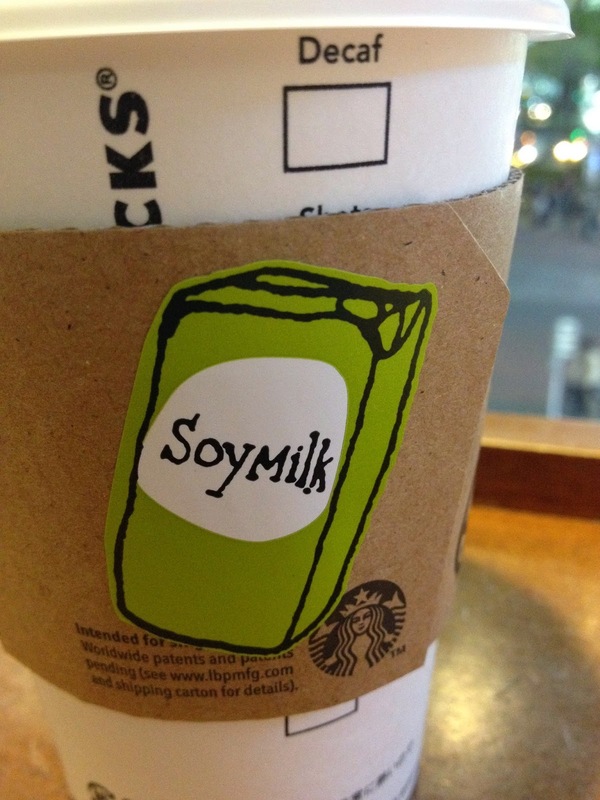 Soy milk is something that you may assume would be vegan but not in Japan where many brands also contain dairy milk. Kikkoman flavours are mainly vegan but look out for the ones containing Vitamin D and the Matcha version which contains calcium from shellfish. 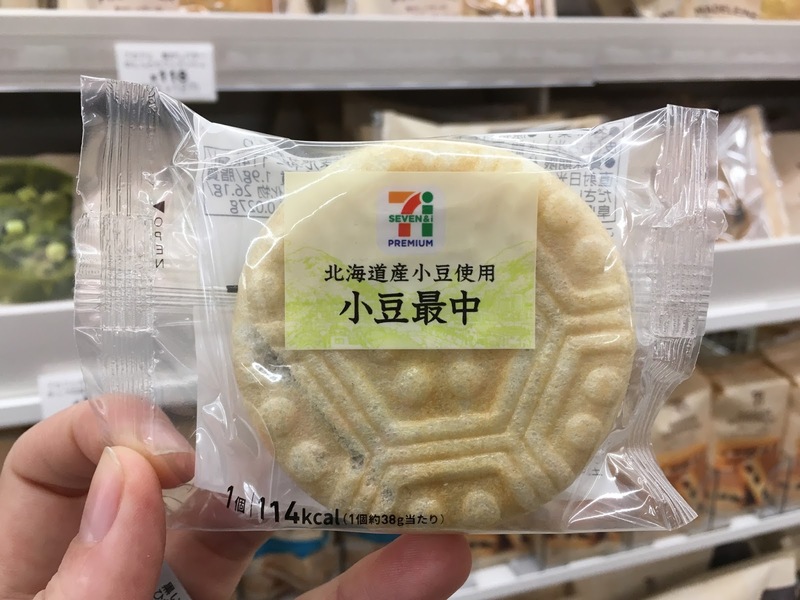 Look out for this 貝カルシウム in the ingredients list. 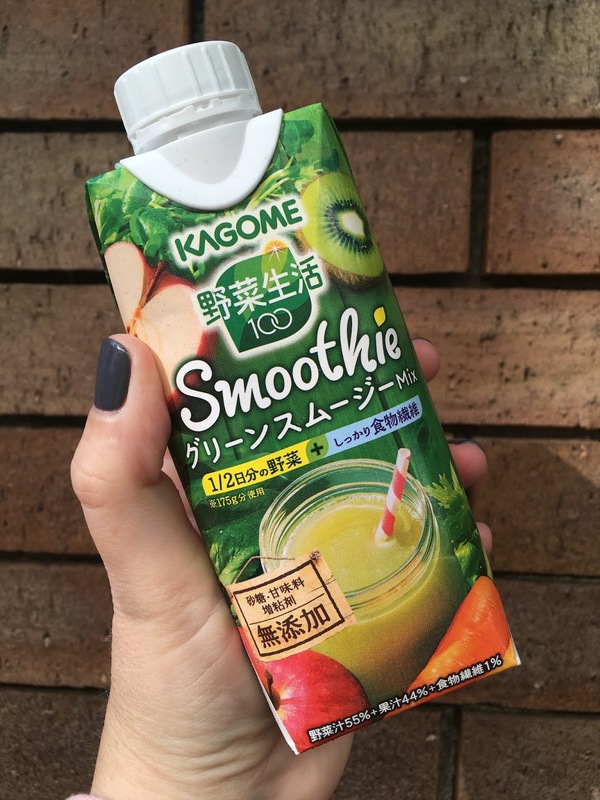 Another great drink that is new for 2018 are soy milk smoothies! 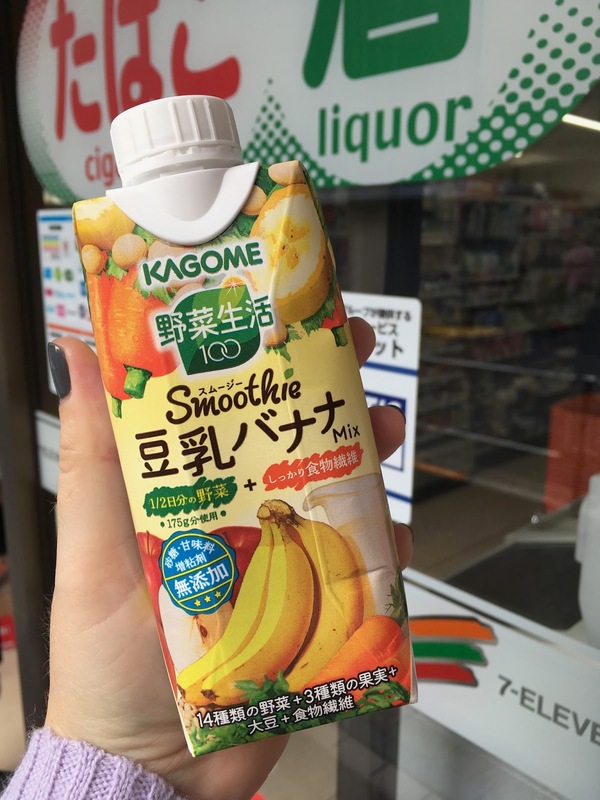 This comes in both banana and berry flavours, just look out for that soy milk kanji 豆乳 and you're all set. There's also a green smoothie version without any milk by the same brand. 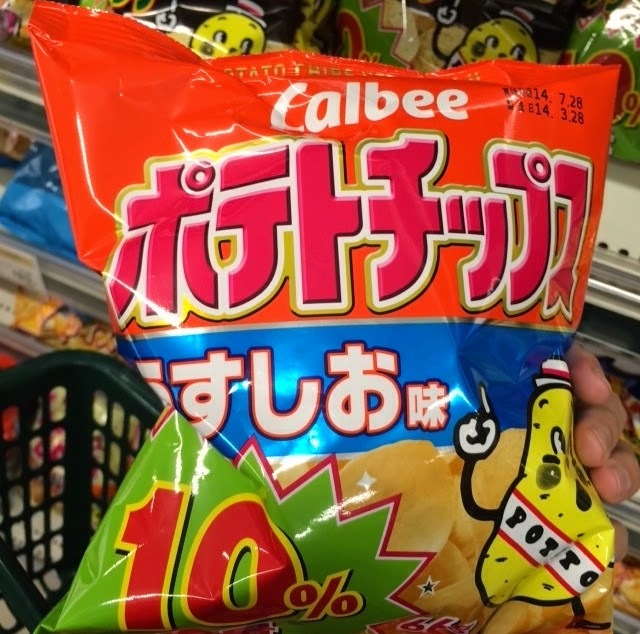 Crisps are another go-to snack for me in any country and I love trying unusual flavours that I wouldn't find at home. 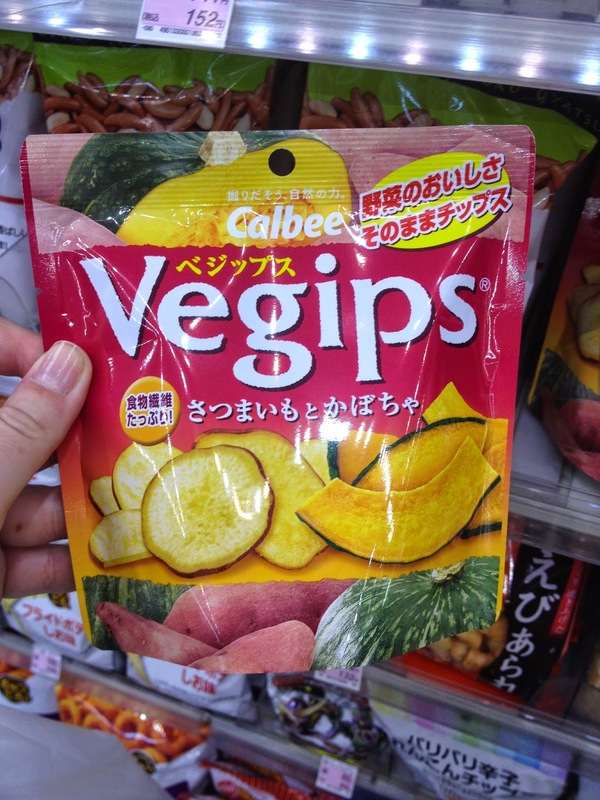 Vegips were in almost every store and I preferred this pumpkin and sweet potato mix to the (also vegan) kind in the green bag which I think contained regular potato and onion. These next crisps are plum and salt flavoured and we grabbed some whenever we stumbled upon them because they were so good. 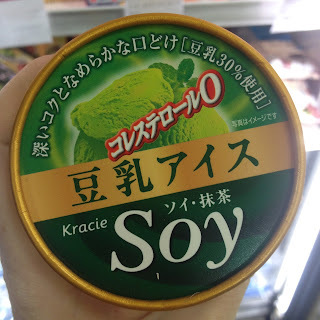 We never did spot these ones but Chiaki and Shawn from Vegan Japan sent the pictures to us after they'd had a read of the labels. 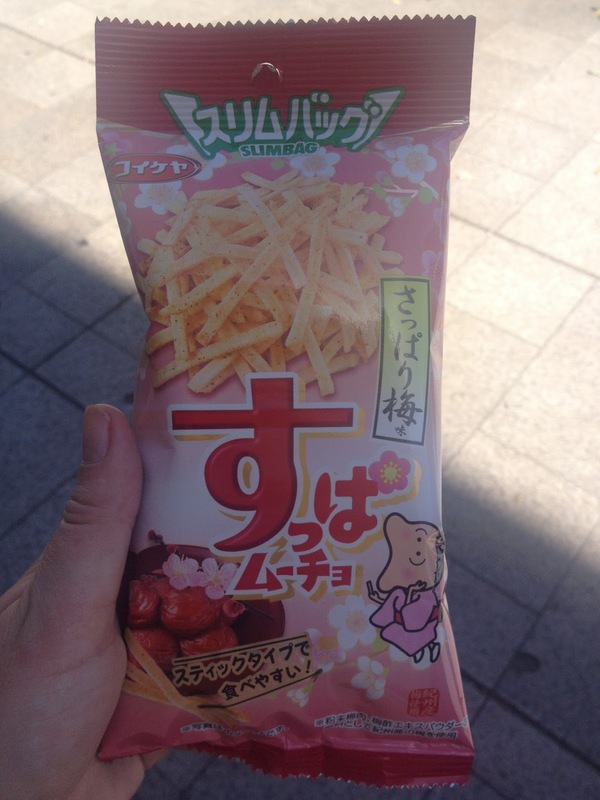 I wasn't a huge fan of these, they tasted a little too much like ketchup to me but I know people who enjoyed them and I think everyone should try sakura and plum crisps at least once in their lives! These are another vegan find, you can also get a version with 250% of the amount of MSG! 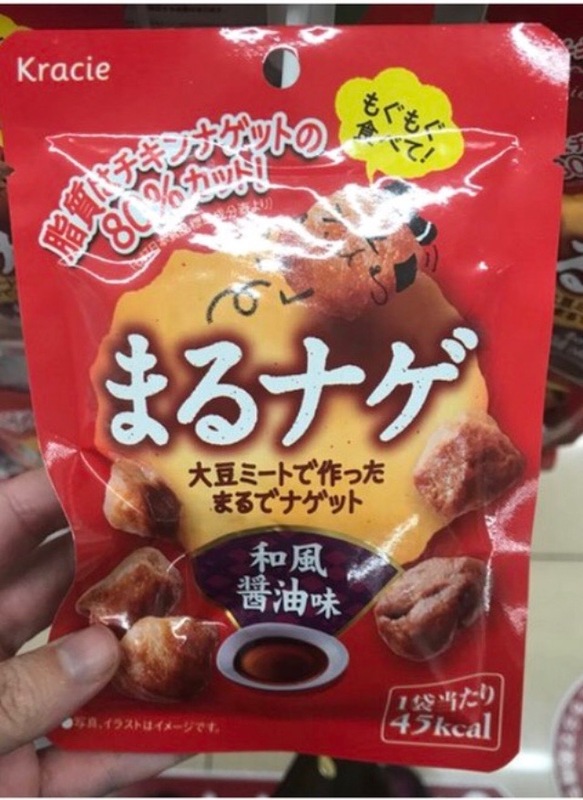 You should also look out for these soy meat snack packs at 7/11 stores, they appeared in March 2018 but I haven't spotted them in the wild yet. Pic courtesy of @veganinkyoto on Instagram. 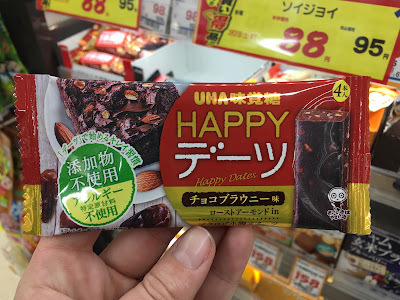 Japanese convenience stores aren't amazing for vegan desserts, although things have improved greatly between 2014 and 2018. In most countries it's easy to find a bar of accidentally vegan dark chocolate or some Oreo's but in Japan they all contain milk products. 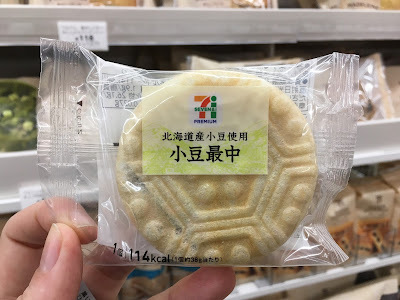 I had incorrectly assumed that most mochi would be vegan but on closer inspection most convenience store versions seemed to contain cream or chocolate based fillings. 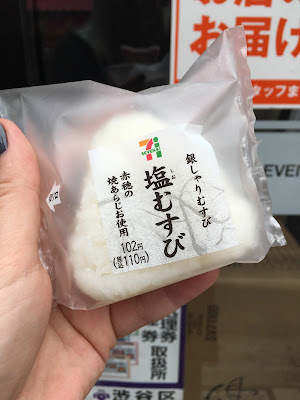 We did find this type of vegan mochi in 7/11. 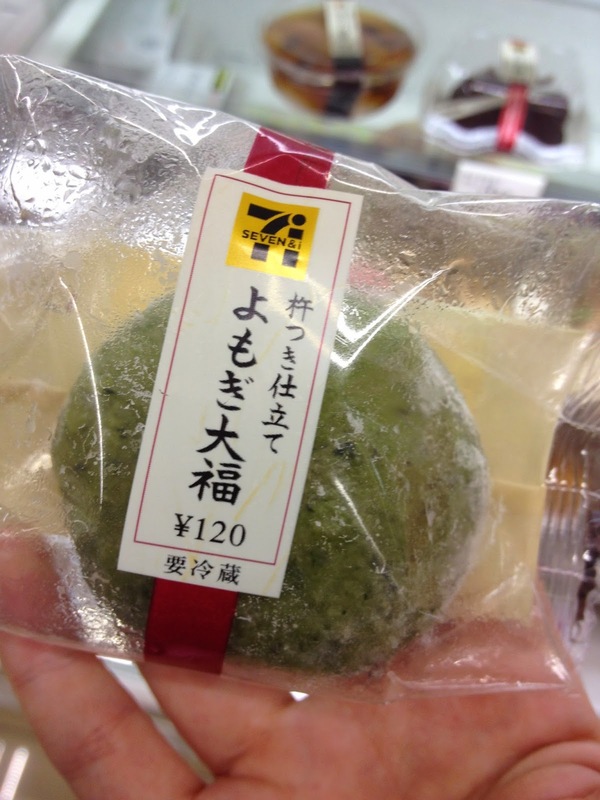 It's green tea with a red bean filling, turns out I'm not a fan of red bean paste but maybe you are! 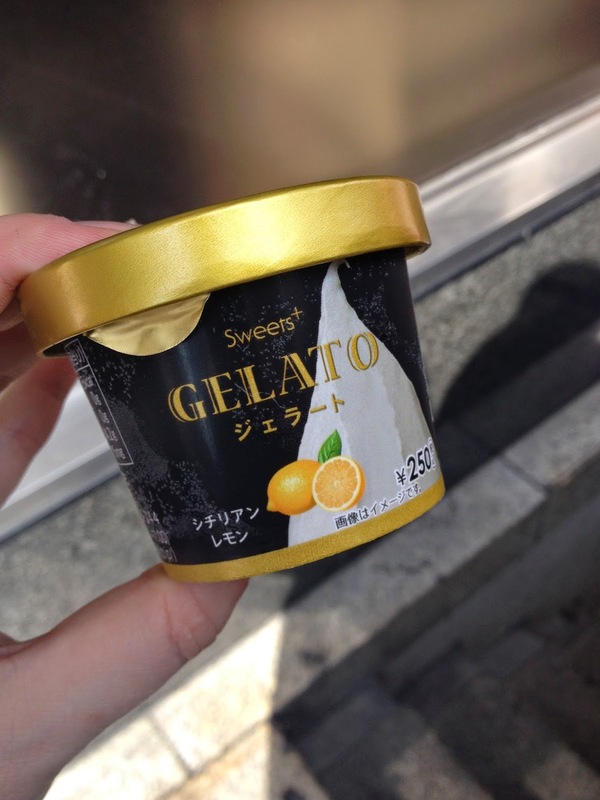 We also found these sugared sweet potatoes (you just need to defrost them for around 30 - 45 minutes and they're ready to eat) as well as this accidentally vegan brand of sorbet so we snapped up a mini carton of the lemon flavour. Other vegan sorbet flavours include blood orange, mango, pear and pink grapefruit. If I'd spotted pear I definitely would have tried that one too. I haven't actually these next two products but these coconut milk ice cream sandwiches and soy ice cream tubs are also vegan. These tubs come in matcha, chocolate, strawberry, vanilla and (new for 2018!) soy latte flavours. 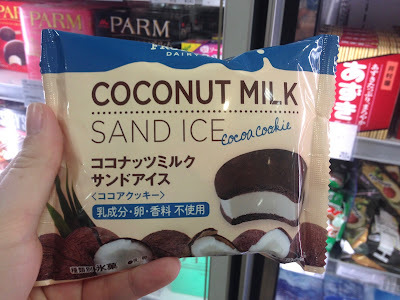 They're slightly challenging to find and I only stumbled upon these at a large import store in Tokyo and I've only found the ice cream tubs at a large supermarket in Kyoto but word on the street is that you can find the soy latte flavour at Lawson stores. 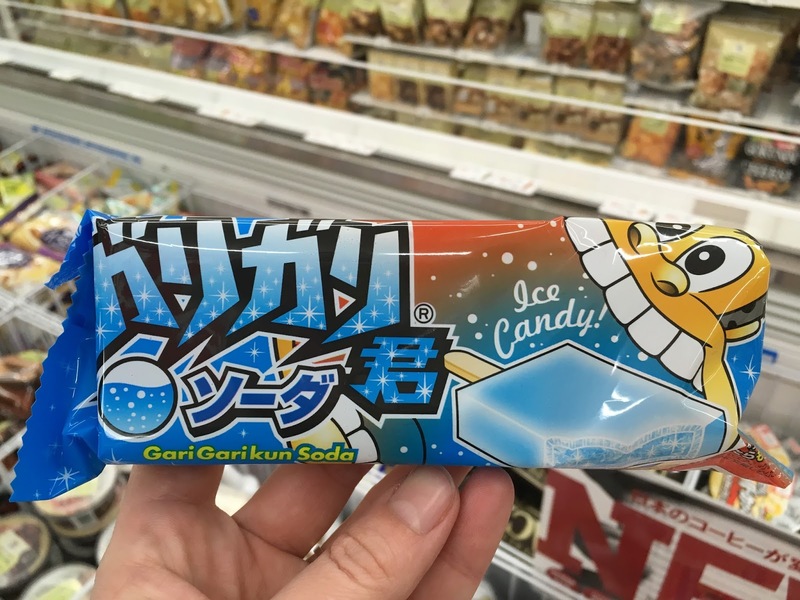 I'll be keeping my eyes peeled for more frozen treats now that the weather is getting warmer! Another great option for red bean fans are these red bean ice lollies. 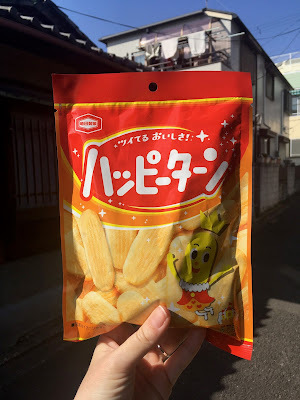 Again, I haven't tried them but I've heard good things and unlike the two products pictured above you'll be able to find them at almost any convenience store. Lastly for the frozen treats section, this ice lolly is vegan! Happy Date bars are one of my favourite Japanese treats, they're available at Natural Lawson stores all over Japan. 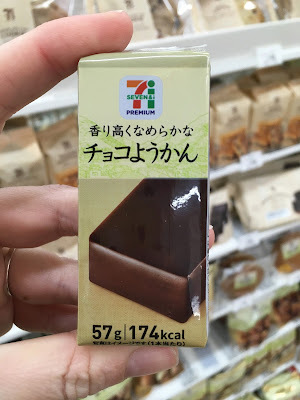 7/Eleven also have a great selection of vegan suitable bars and snacks. 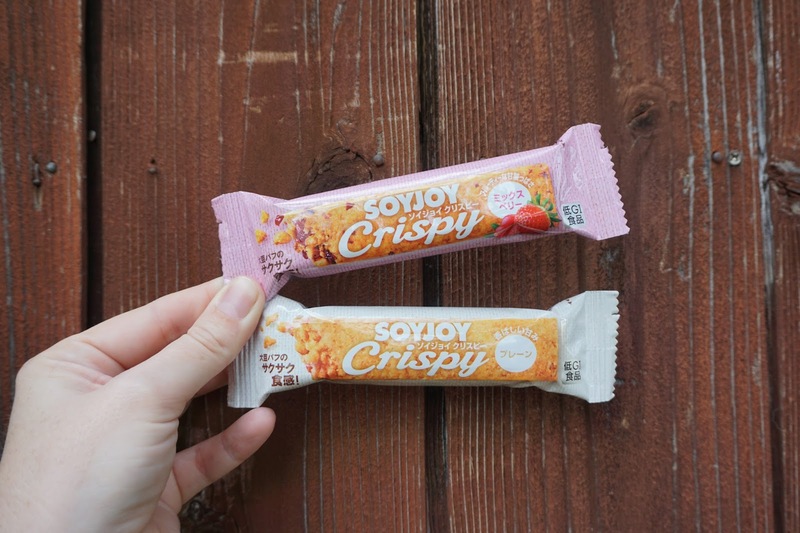 Most Soy Joy bars contain milk products but these new Soy Joy Crispy bars are vegan friendly. I found the one in the pink wrapper too sweet but the white wrapped bar was excellent. There's also a new blue wrapped bar (with the new 2018 packaging - picture coming soon) which is Nick's favourite but I'm still a traditionalist a grab the write wrapped bar every time. 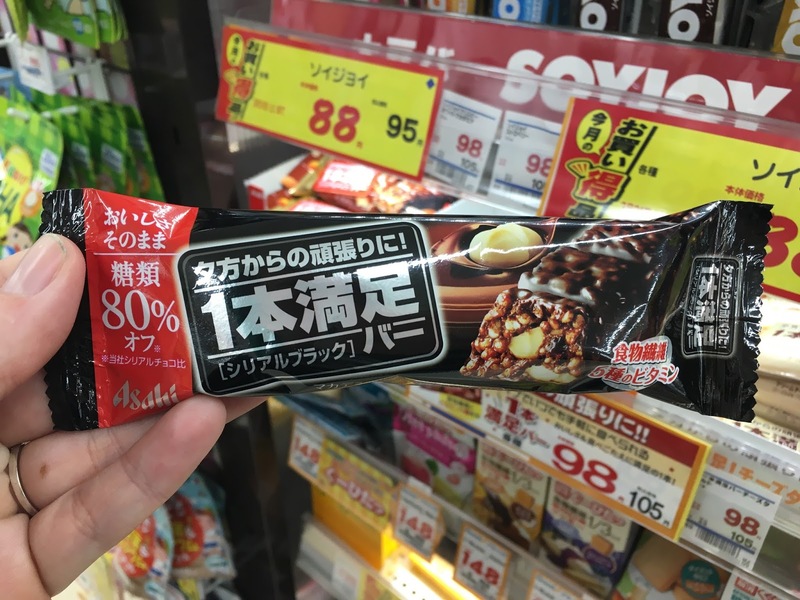 They've also recently brought out this crispy filled chocolate bar which is kind of amazing as vegan chocolate really isn't a thing in Japan, there's butterfat in every dark chocolate bar on the market right now, and usually the only vegan chocolate you'll find will be from import stores. 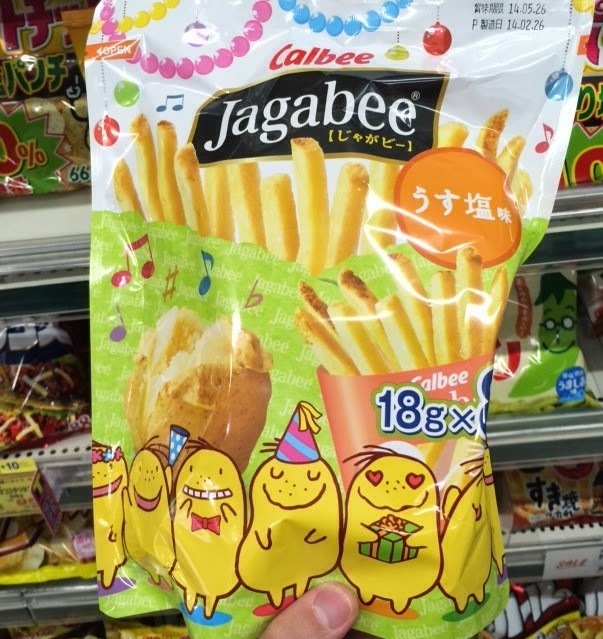 Also new for 2018 are these two bean based snacks that can be found in 7/11. The first is a wafer filled with red bean and the second is a bean and cocoa flavoured bar made with agar. Some 7/Eleven and Happy News branches stock the Morinaga vegan brownie and flapjack bars, the packaging has changed since I took these photos in 2016 but thy still look similar enough and they now come with five bite sized pieces in each pack. 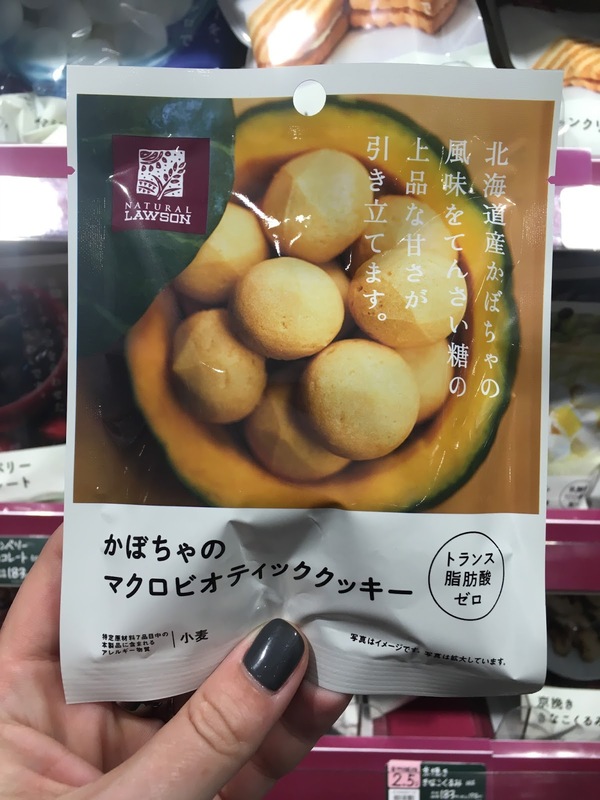 Another new item for 2018 is this pack of macrobiotic pumpkin cookies from Lawson, I have seen them at regular Lawson's but they're much easier to find (alongside a wider range of vegan products) at Natural Lawson stores. 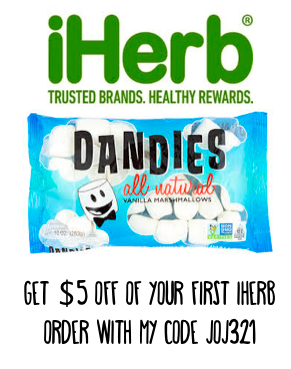 I'm a big fan of these and grab a bag or two whenever I spot them! 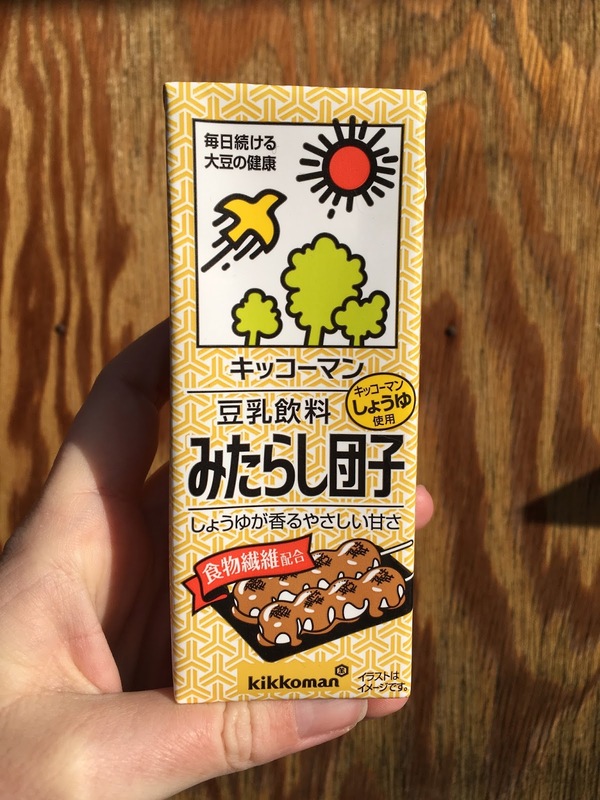 You can also look out for import stores in stations like Kaldi where we found things like peanut butter, crackers and bread sticks as well as speculoos biscuits, a few other vegan cookies and most importantly chocolate. It's always expensive and imported but we've found brands like Vivani, People Tree, Moo Free and iChoc here. 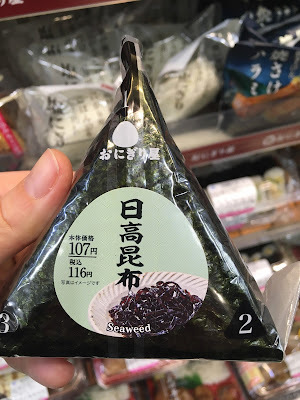 We also shopped for food in a couple of natural / health food stores in Tokyo and Kyoto and you can see what we found in some of those stores here. Top Tip: In japan is that not all soy sauce is vegan, a lot of it, including the kind you will be served alongside otherwise vegan meals in non vegan restaurants, contains dashi from fish. 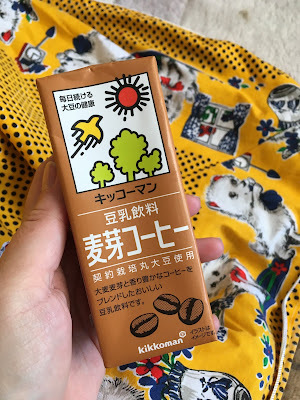 We bought a mini bottle of Kikkoman soy sauce to carry with us during our 2014 trip and it easily lasted for the duration of our three week adventure. 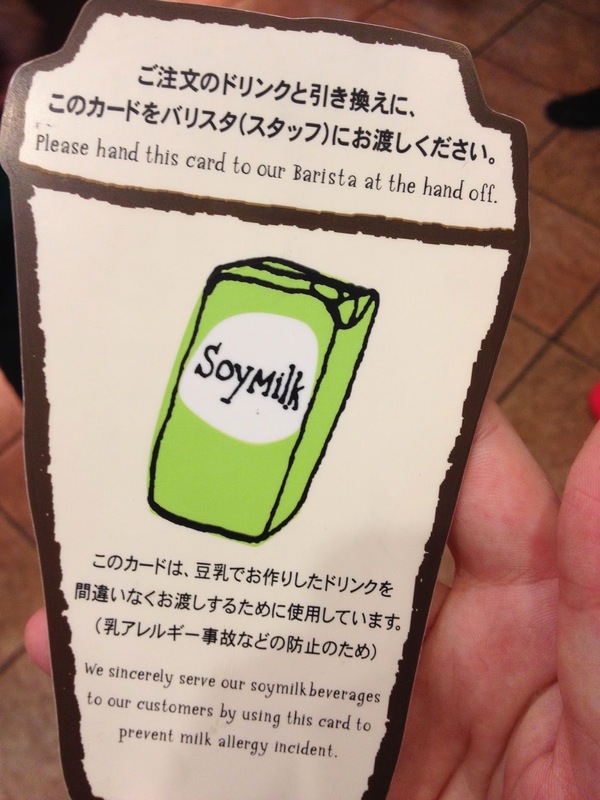 ...and when you collect your drink the sleeve will have a Soymilk sticker. Matcha green tea lattes were our regular order and this system offered great peace of mind. 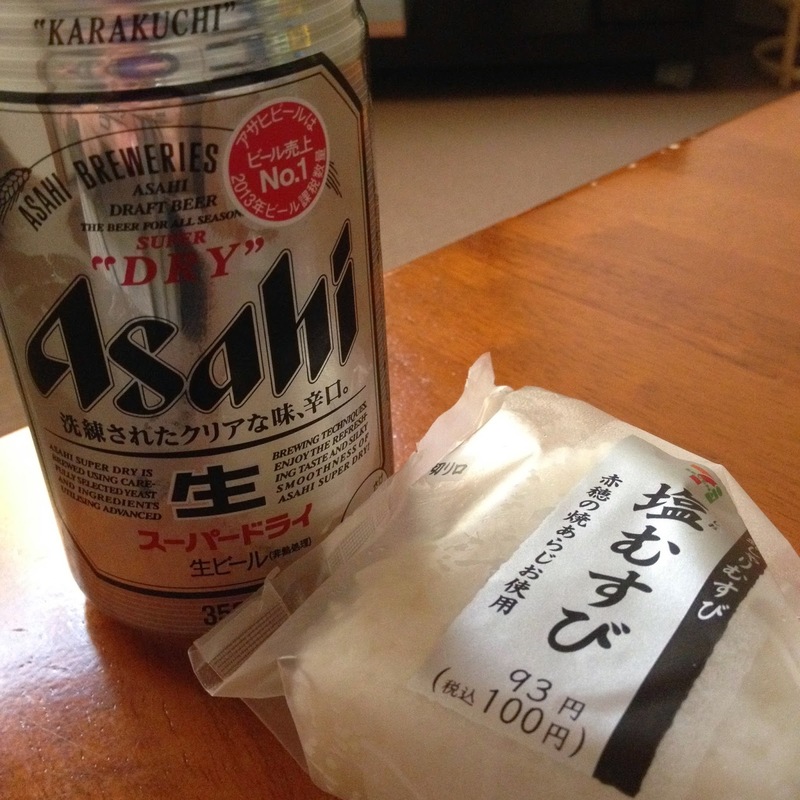 Whilst we're on the subject of drinks if you're into beer both Asahi and Kirin are ubiquitous and vegan friendly. As you can see I will pair onigiri with anything! I really hope that this post helps any vegans or veggies out there who are planning a trip to Japan, avoiding fish is challenging but it can be done and Japan is an amazing place to visit. I've been here twice now and I would recommend a trip to anyone. Super post! A great resource. @Panda With Cookie, thanks friend! 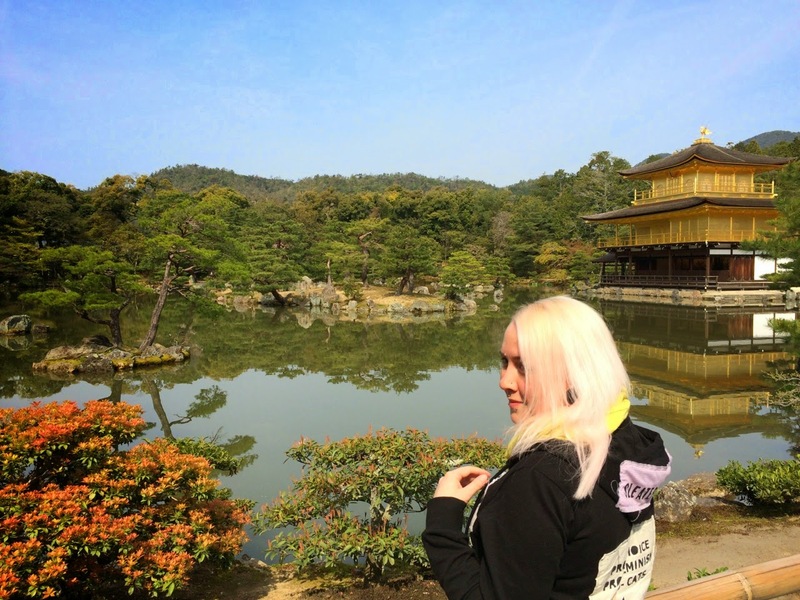 This is the most inclusive, thorough, and inspiring post I've seen on vegan travel to Japan. Brilliant work! Now I want to pack my bags and hop over there, ASAP. Thanks for such an informative post! Japan is definitely on my list of places to visit, these tips will come in very useful when I finally get around to going! Yum yum yum! Thanks for the post. 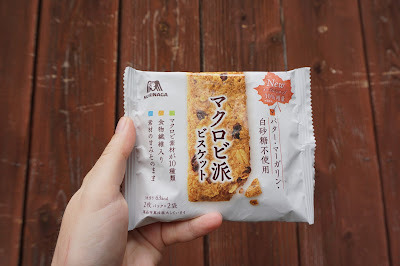 Can't wait to sample some of the vegan options at the convenience stores in Japan and of course all of the vegan restaurants! Your blog helped me sooo much. I am a vegan , too. i have just returned from a trip to Japan. I can`t believe you are so right that most of the times you can`t read the ingredients. This journey was amazing. I think Japan will be always in my heart. Best regards! Dee's Wholefoods and 10 Acre Crisps Reviews. 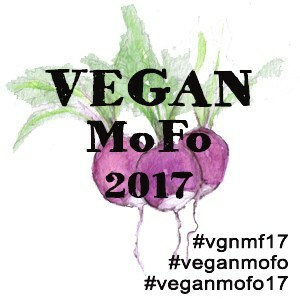 Veg Fest London Announcement and Ticket Giveaway. VDelicious & the Allergy and Free From Show.